Thermocoax Isopad IHH-ST2A/ST2D is a flexible heated hose for liquid and gaseous media with a maximum operating temperature of 200°C. 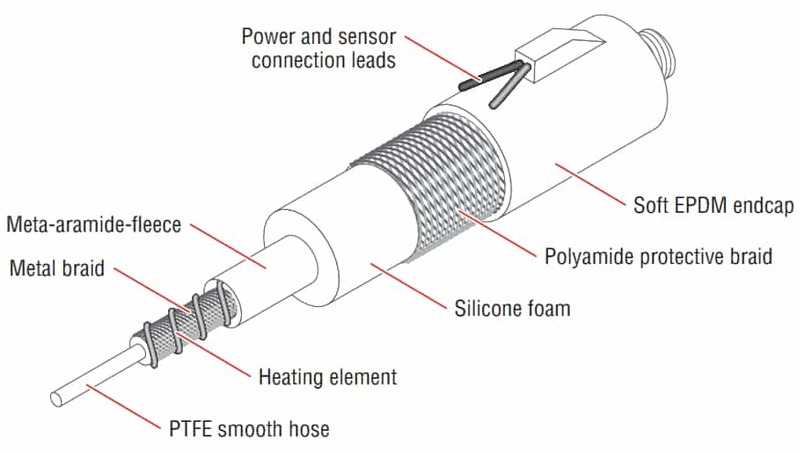 The standard versions of the IHH-ST2A/ST2D heated hose have smooth PTFE inner hose constructions with stainless steel braiding for pressurised operation. The thermal insulation consists of meta-aramide fleece and silicone foam and mechanical protection is provided by a polyamide braid and soft EPDM endcaps.